How to transfer Sukanya Samriddhi Account from Post Office to any Bank? Sukanya Samriddhi Account is already being opened in Post Offices and all branches of Punjab National Bank across India. In fact, from the very start of the scheme, parents have been over enthusiastic about the scheme considering the decent rate of interest it is offering on investment and the long term lock in period that would secure the future of their girl child. What is additional is that parents can enjoy complete tax exemption on the amount they invest to Sukanya Samriddhi Account. On the negative side, what many people are not happy about the scheme is that it authorizes a number of banks to open the accounts under the prestigious scheme, but till now only post office and Punjab National Bank have started the operation of account. Remaining banks are not sure on when they are going to start opening of accounts, to the extent that few employees in few branches are not even aware that such a scheme exists. As of now, post offices are doing a great job in opening Sukanya Samriddhi Account because of the fact that those who are interested do not have much option and whether they life the services of post offices or not, they would get the account opened in the first go. Most of the customers who have opened their girl child’s account in post offices are waiting for banks to start operation so that they can transfer their account to the banks. With this situation, it is quite apt for people to know how they can transfer Sukanya Samriddhi Account from post office to banks. In this article, we will cover this aspect only and inform you about the procedures in details as to how you can get your daughter’s account transferred from post offices to any bank. You need to deposit or surrender the passbook given to you by post office at the time of opening of the account. The bank executive would close the account at post office and prepare necessary documents that you need to submit at the bank branch where you wish to get the account. As you can see the process of transferring the account from post office to bank is quite simple. All you need to do is make two visits to the post office and bank and the account would be transferred. Make sure to carry along copies of KYC documents so that you do not need to visit back and forth. 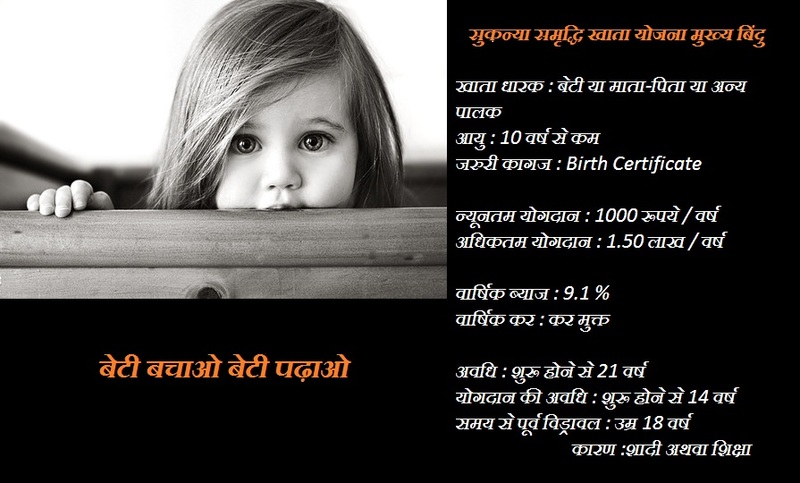 Sukanya Samriddhi Account Yojana for OCI PIO Can I open both PPF and SSY for my daughter?